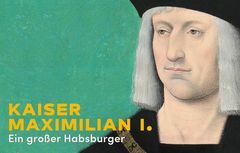 On the occasion of the 500th anniversary of the death of Emperor Maximilian I, the Austrian National Library has a special exhibition commemorating the great Habsburg and his time. He was called the last knight of the Holy Roman Empire: Emperor Maximilian I of Habsburg (1459-1519), a classically educated prince and skilled fighter. The son of Emperor Frederick III and Eleanor of Portugal, he was also a progressive monarch who recognized the challenges of his time. At his court he gladly received representatives of the new schools of thought, who dedicated their works to him and were in dialog with him. Of paramount importance is Maximilian's memorial culture, which was intended to secure the emperor's own fame and increase his family's reputation. He was the first Habsburg to recognize the possibilities of the newly emerging printing press and participated intensively in various projects designed to keep his memory alive long after his death. The special exhibition "Emperor Maximilian I. A Great Habsburg" in the Grand Hall of the Austrian National Library shows the ruler against the background of his own works and the new discoveries and achievements at the transition from the Middle Ages to the modern era. The famous textbooks from the emperor's childhood provide an insight into the initial educational experiences of the young Habsburg. The progress of scholarship at the turn of the modern era is explained by new astronomical findings as well as by the results of the study of ancient culture. The exhibition presents over ninety valuable objects from the holdings of the Austrian National Library.